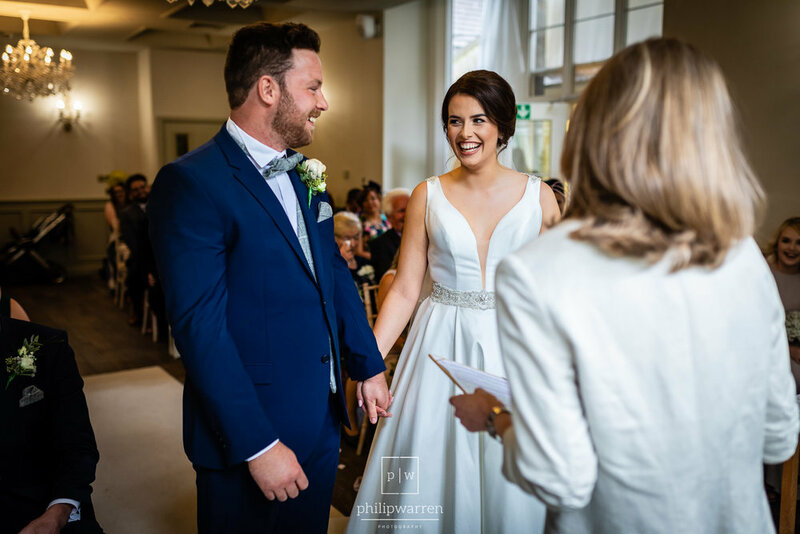 I make my second to last appearance of the year at the fantastic Bryngarw House to photograph Stephanie and Matthew’s wedding. Please check out the photos below. As always the list of suppliers used in the wedding follow the photos. Stephanie and Matthew have been together nearly 5 years, and like a lot of people nowadays found each other via social media. On a random snapchat. This was even more strange as Matthew was in Mexico and Stephanie was at home. When Matthew got back from his holidays they continued to talk and spoke on Facebook frequently. They finally met up 3 days after he landed. And the rest, as they say, is history. They got engaged 30th September 2016 before moving into their first home together. Matthew collected the keys and they met at the house. Matthew opened the house up for the first time he went into the kitchen. H came out and got down on one knee asking to marry him with the ring inside a glass vase like in Beauty and the Beast. 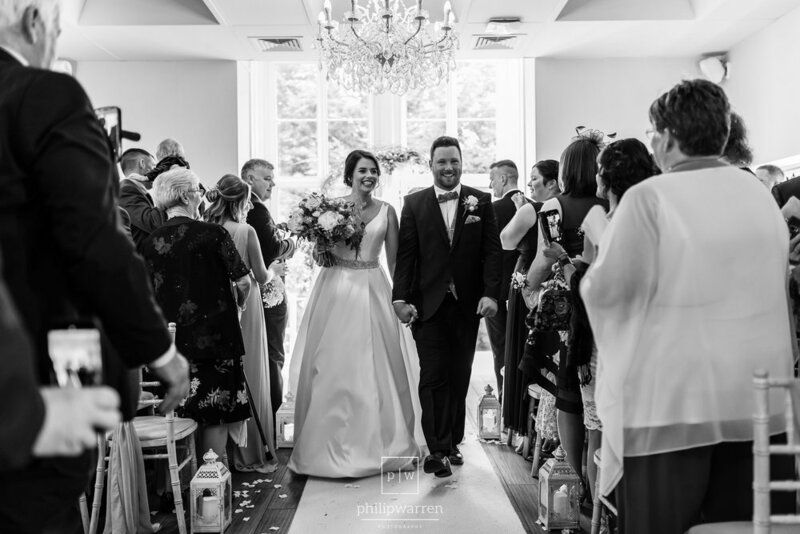 They chose Bryngarw House to get married in because the beauty of the house felt right as soon as they walked in. It was their style of venue and the ground around the venue are beautiful along with the venue being exclusive to them. I've said before, but Bryngarw House really does have one of the best rooms to get ready in any wedding venue in South Wales. Stephanie used the room to her full advantage to get ready with her and her four bridesmaids. Makeup was provided by the excellent Lucy Watts, who I have worked with many times. And hair was crafted by the very talented Kristen Davies. I like to try and mix it up at venues when it comes to photos. This time I climbed out onto the roof to get some different angles looking into the room, much to the amusement of the bridesmaids. Stephanie walked down the stairs and into the ceremony room clutching her dads arm. The ceremony room at Bryngarw House looks awesome in any weather with the light pouring in through the large window at the one end. A few bumbled lines due to nerves later and they were married and making their way back down the aisle together. The traditional confetti shot followed by welcome drinks and canapés served by the excellent staff at Bryngarw House. Having photographed at Bryngarw House many times I always enjoy the challenge of creating something new and special. Hopefully this was no different. We took a quick walk down to the small lake before grabbing some quiet time on some of the secluded pathways in the Bryngarw country park. They decorated the room with lots wood features and natural touches along with hints of pink. With the wood floor and high white drapes in the marque it doesn't take much to make it look amazing. I always get excited whenever I see a projector set up for the speeches. Matthew's dad had spent some time preparing by digging up years of embarrassing stories. Much to the guests amusement. Having already delivered their photos I'm in a rare position to add in their slideshow to the blog post. I create these for every wedding and they are a nice way to quickly re-vist those moments from your big day. Especially great if you don’t decided to have a videographer. Please enjoy and if you want to view more, please click here. 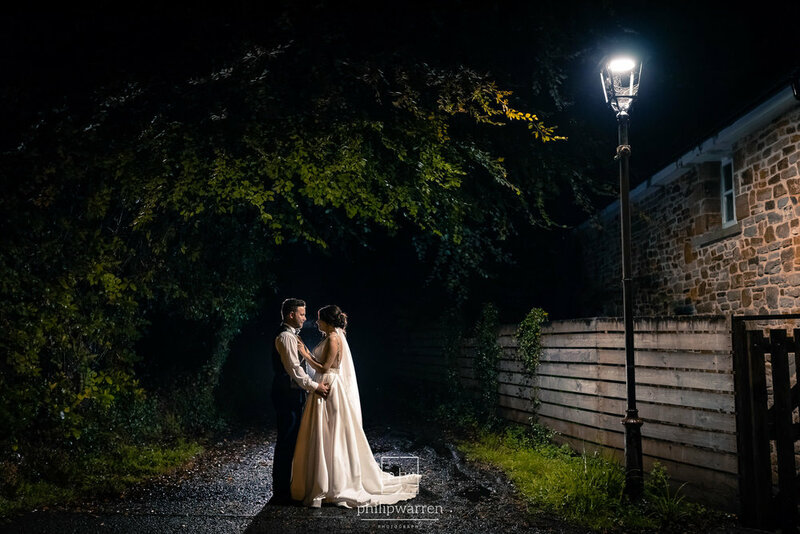 Getting married at Bryngarw House and looking for a wedding photographer? Please get in touch as I would love shooting weddings at this gorgeous venue! 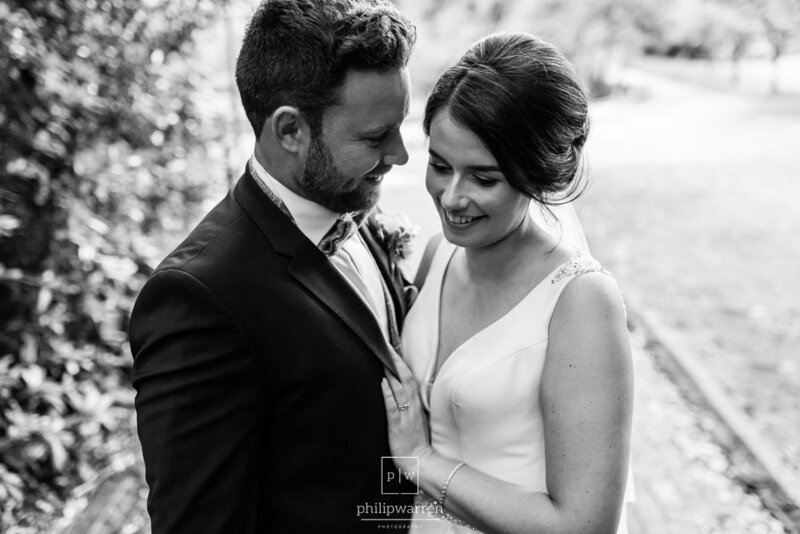 If you would like to see more weddings I’ve photographed at Bryngarw House please hit the “View More” button below.